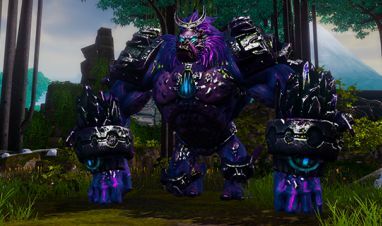 Offering something of a distraction from the workaday realms of Revelation Online, Mythical Conflict debuts an exciting new PvP game mode that allows you to park your veteran characters for a while and enjoy the carefree pleasures of MOBA-style gameplay. 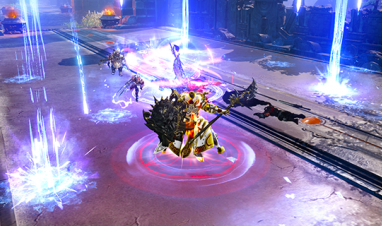 In Legends of Nuanor, you can choose from a number of legendary champions, and must work with your teammates to dominate the battlefield and destroy the enemy team’s Crystal; earning rewards and unlocking new abilities as you progress through the ranks. While Mythical Conflict brings with it some general combat restructuring, the new Legends of Nuanor game mode has very much been the focus of recent development. We hope you enjoy it as we work to enhance and expand the game over the months ahead. Customize your heroes’ already impressive abilities. The bane of the Northern Wolves is ready for the ultimate challenge!